New functionality detailed at Microsoft conference. 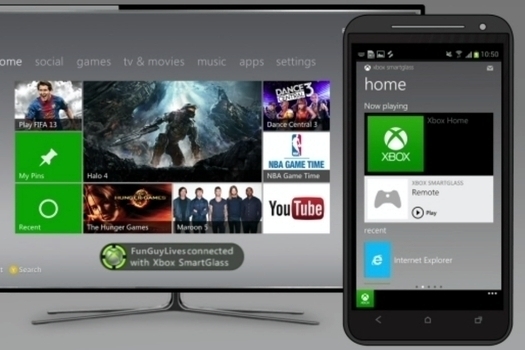 Microsoft's SmartGlass system has been enhanced to provide new features for the next-gen Xbox One console. The new functionality for the touchscreen technology was detailed by Microsoft at this year's E3 conference in Los Angeles. Using SmartGlass, gamers will be able to set up multiplayer games on any touchscreen device, while they continue with singleplayer gaming on the Xbox One. SmartGlass will also provide a timeline for each game, showing the progress of friends, real-time stat comparisons, leaderboards, achievements, and gameplay recordings. The timeline will also update in tandem with your game progress, providing hints and tips on your phone or tablet as you play the game.